The FBI released its preliminary report on crime in the U.S. for the first six months of 2017 reporting home burglary is down 6.1 percent. Attributing this decrease to several factors, one of them is most certainly a greater level of education on the part of homeowners for preventing burglaries. According to our Preferred Safe & Lock professional security and locksmith experts, they have witnessed numerous St. Claire Shores, MI, homeowners implementing many of the steps we recommend on a regular basis. Consider a home alarm and signs. If you have been waffling back and forth whether to invest in a home alarm or not, statistics show homes with alarms are much less broken into than those without. Check in with our security experts, and we can come out to help you choose the best options for your home and wallet. However, if you aren’t yet ready to take that step, think about putting up home-alarm signs in your yard and window decals. It’s proven even these can help deter thieves from choosing your home. For some reason, a well-kept yard convinces would-be burglars that if you take this level of care with your yard, you will probably take preventive indoor security measures. Also, avoid planting tall shrubs or foliage near windows or in close vicinity to the house. The windows offer an enticing home entrance behind the cover of your overgrown greenery. And trim any foliage near your house that could serve as a hiding place and tree limbs offering access to your roof or second story. Motion sensor lights will detect any movement at night and can help spook any snooping intruders. Pay special attention to the darkest areas of your home’s exterior. This type of light also saves you on energy, since the lights aren’t burning all night long. This tip is one of most overlooked prevention measures there is. Many burglars have confessed they don’t even need break-in tools, because so many people are lax with their locks. Even if you are home and working in the backyard, lock your front door. Be sure to put wood dowels in your sliding glass doors’ and windows’ tracks to add an extra measure of safety. This applies to your garage and second floor as well. Many homeowners don’t think about their garages, but unlocked garages and interior garage doors are favorite entrances. This is particularly true when you go out of town, are at your in-laws’ home for a holiday, or at work for long hours. In the case of being out of town, be sure your mail is picked up or stopped, your garbage is taken out and back, and your lawn is mowed. Anytime you’ll be out of the house for extended times, whether on vacation or doing overtime at work, utilize interior and exterior light timers, and turn your radio to a talk station and make it loud. These tricks of the trade can help deceive any ne’er-do-wells. Keep your travel plans to yourself. If you’re a social media devotee, take care to avoid mentioning anything about being out of town online. Even though there may be privacy settings, you have no way to control how your information is dispersed once it’s out there. Don’t tell the cashier at the market either. You never know who’s within earshot. Most experienced burglars can recognize a fake rock a mile away. They are also pretty experienced at checking under the flowerpots and welcome mats as well. Either leave a spare with a trusted neighbor or hide the spare inside the garage somewhere if you have a keypad entrance. 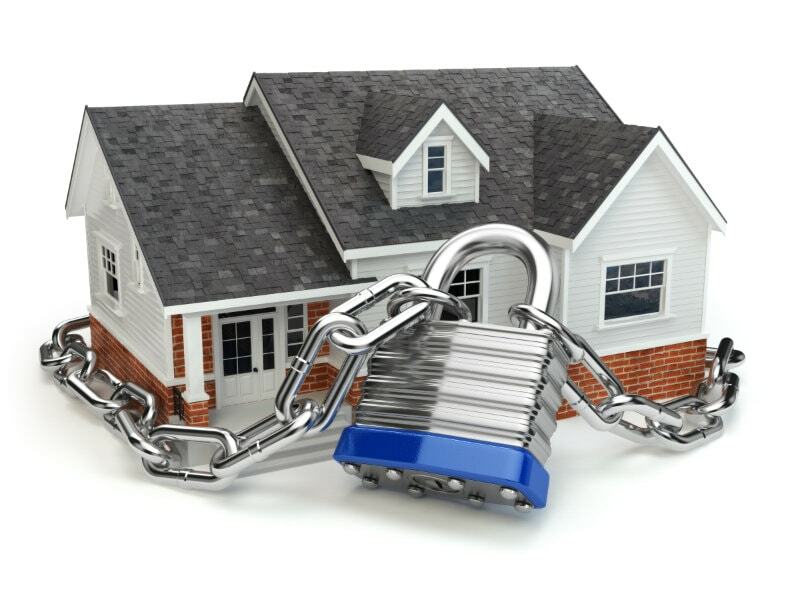 Our Preferred Safe & Lock experts can help you secure your home. If you have any questions or would like us to come out for an evaluation, call us at 586-757-7742.